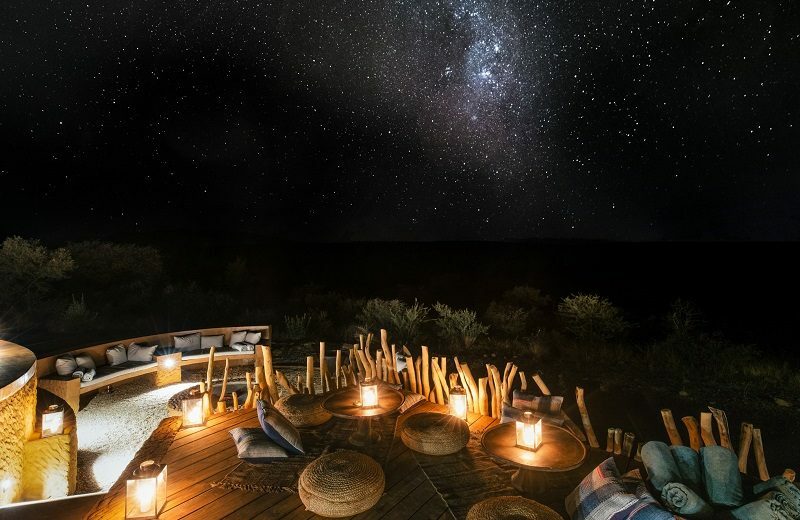 Oomanda: Discover The Luxury Safari Lodge by Zannier Hotels ⇒ Today, Best Design Guides brings you a luxury travel guide to one of the most recent luxury safari lodges located in Namibia that is a dream come true. 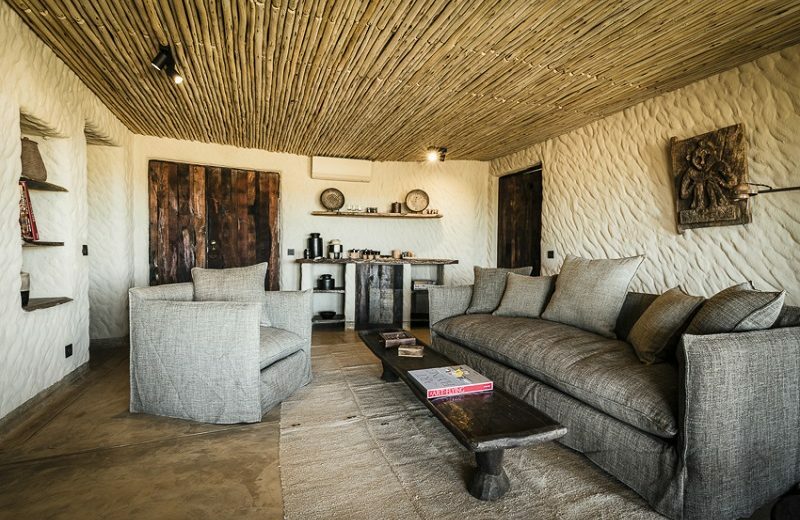 If you’re looking for inspiration, you may consider this Oomanda by Zannier Hotels, with its traditional Namibian style, it’s a wonderful inspiration for rustic interiors. 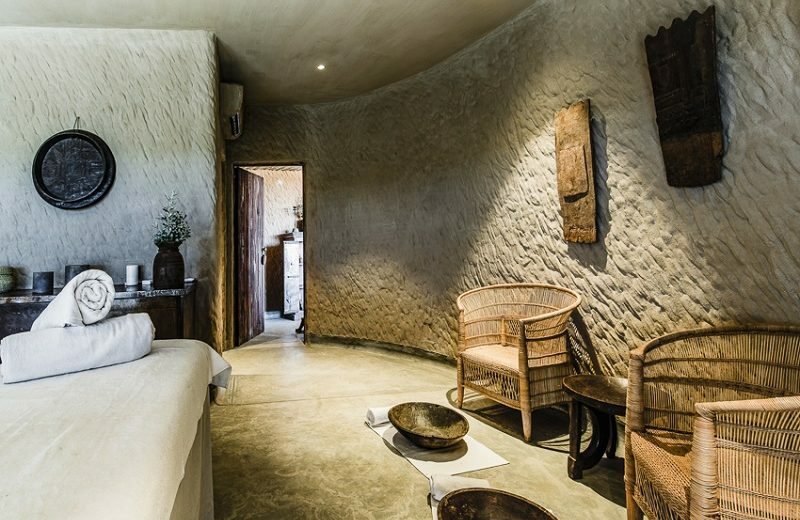 This property from Zannier Hotels, approved by Angelina Jolie, is just one more reason Namibia needs to be at the top of your travel itinerary. 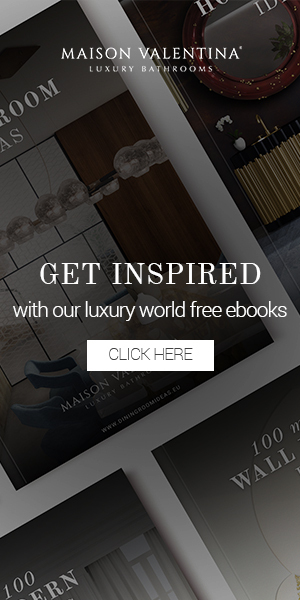 Zannier Hotels represents a wonderful collection of boutique properties spotted across the entire globe and beloved by the luxury lifestyle world. 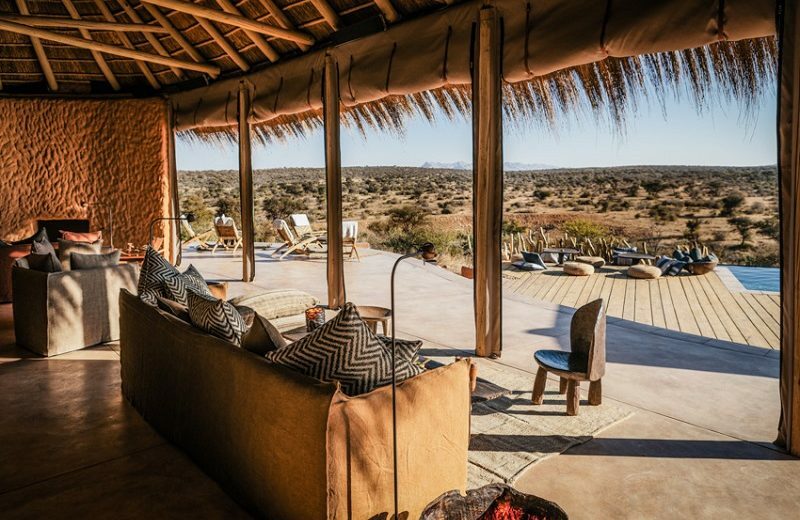 Its latest project, Oomanda, joins the ranks of a host of luxe new safari lodges popping up across Namibia, was actually Jolie’s idea. 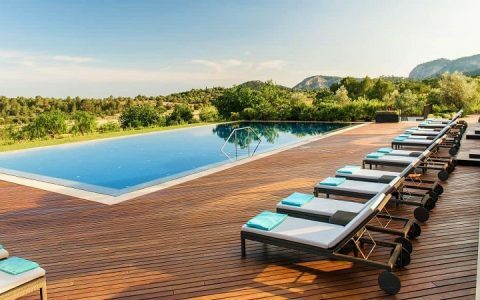 The actress met the hotelier while staying at Phum Baitang, Zannier’s laid-back lodge near Siem Rap, Cambodia. 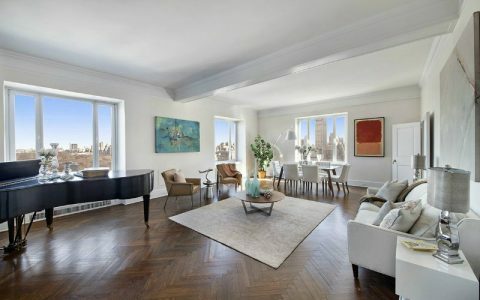 During a five-month stay, she convinced Zannier to set down roots for not one, but two lodges in Namibia. 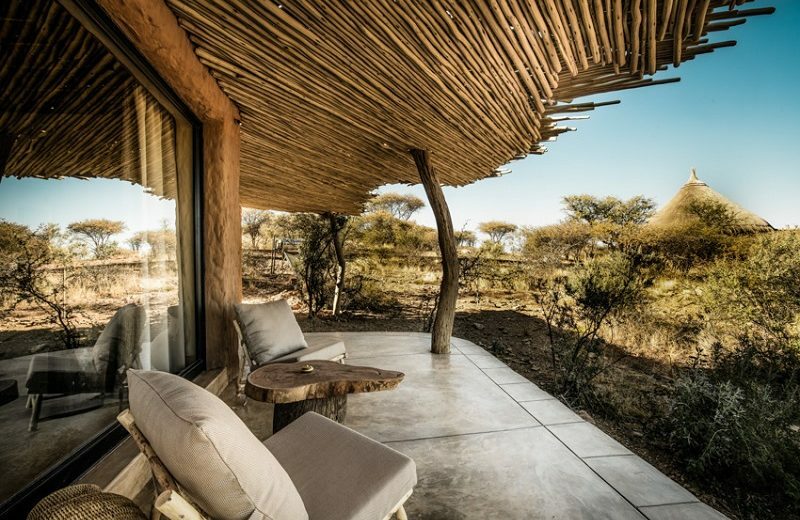 And now, with this month’s opening of the boutique lodge outside of the country’s capital of Windhoek, and tented-camp Sonop nearing completion in the Namibian Desert, the seeds she planted are blossoming. 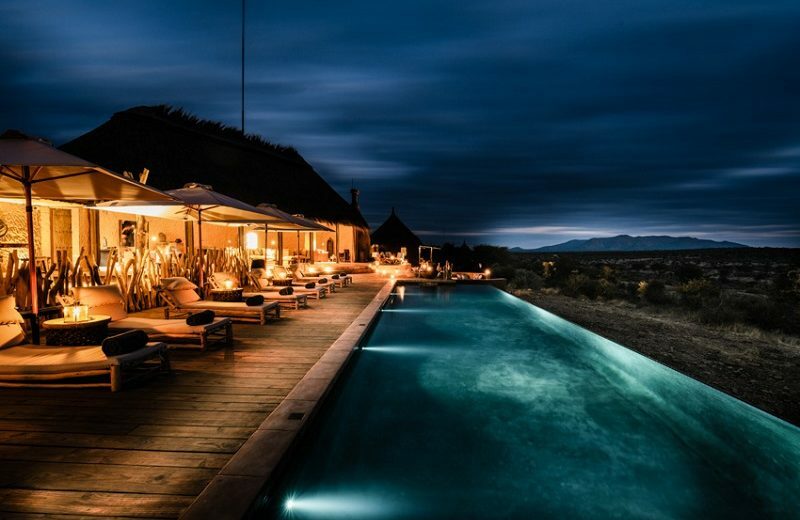 Oshiwambo, meaning “rhinoceros,” gives its name to the 10-room lodge that’s located in the heart of the 22,000-acre game reserve managed by N/a’an ku sê, one of the country’s premier conservation organizations. 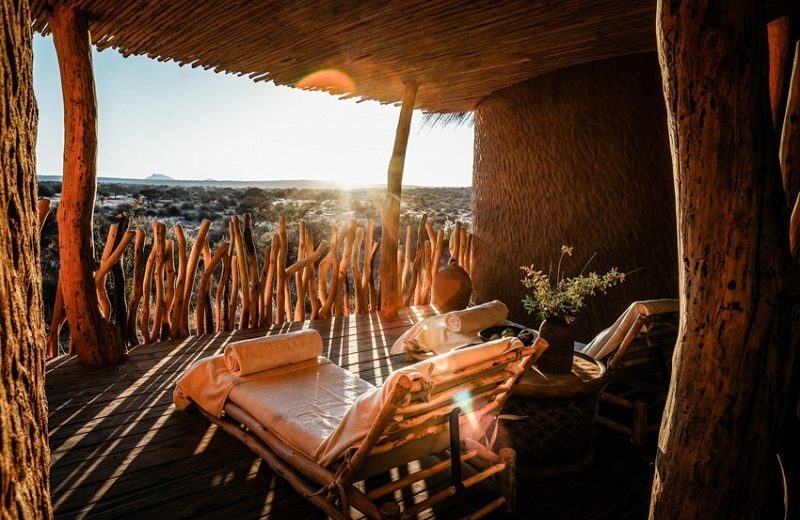 Like the name, everything about the lodge flows organically from the sights, sounds, and culture of this wide, savannah-covered corner of Namibia. 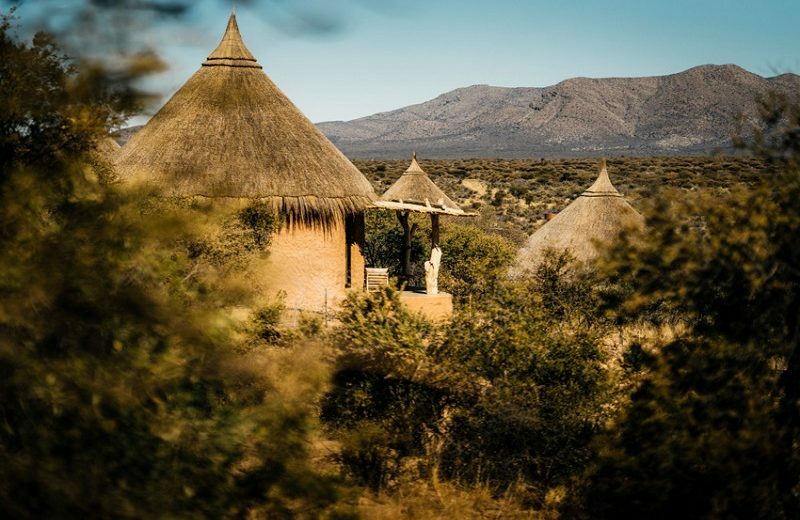 The camp’s hut-like buildings rise out of the dusty plains looking right at home thanks to their traditional Ovambo architecture—think rounded, natural clay walls and hand-finished thatched roofs. 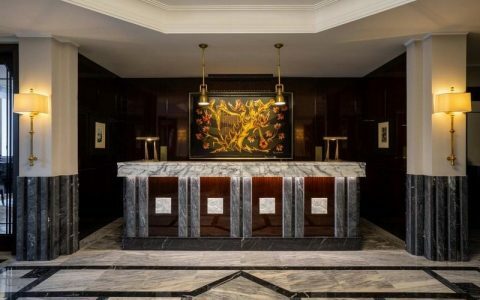 Inside, longtime Zannier Hotel’s collaborator Géraldine Dohognea approached the decor with respect for the region’s ancestral architectural techniques in mind. 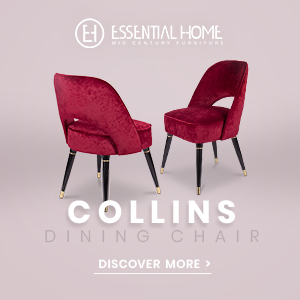 The result is a mix of Dohegnea’s signature stripped-back approach to luxury, with muted colours and rustic, but never unrefined, textures; with one-of-a-kind, antique pieces sourced from Namibia and neighbouring countries. While out on drives during the day, you’ll look out for banded mongoose, Pangolins, and caracal alongside zebras, giraffes and hyenas. Though elephants and rhinoceroses do not roam freely through the concession, the centre of the reserve is home to a sprawling, state-of-the-art hospital (funded by the Jolie-Pitt Foundation) for animals that have been injured or abandoned. There, you’ll get an intimate look at the animals, and gain a deeper respect for those that dedicate their lives to help rehab the country’s wildlife, which has flourished under more serious protective programs were put in place in the mid-1990s. 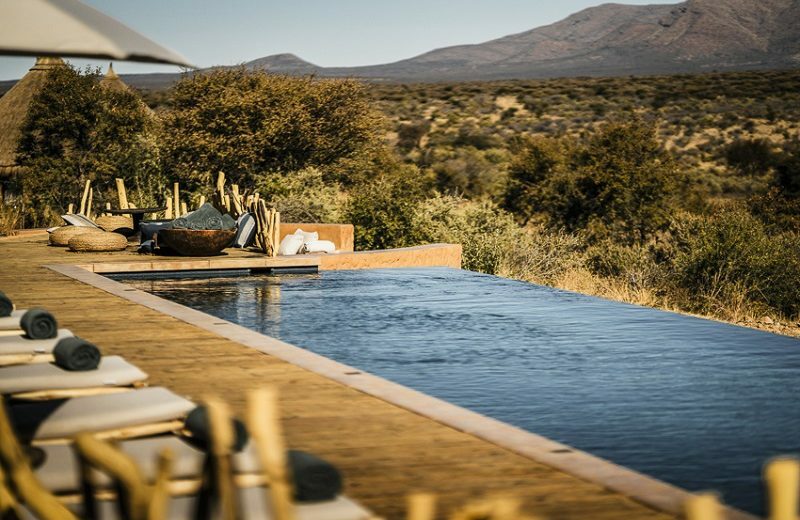 Spend your days out in the bush or lending a helping hand at the hospital, topping it off with a dip in the property’s infinity-edge pool, overlooking the reserve. 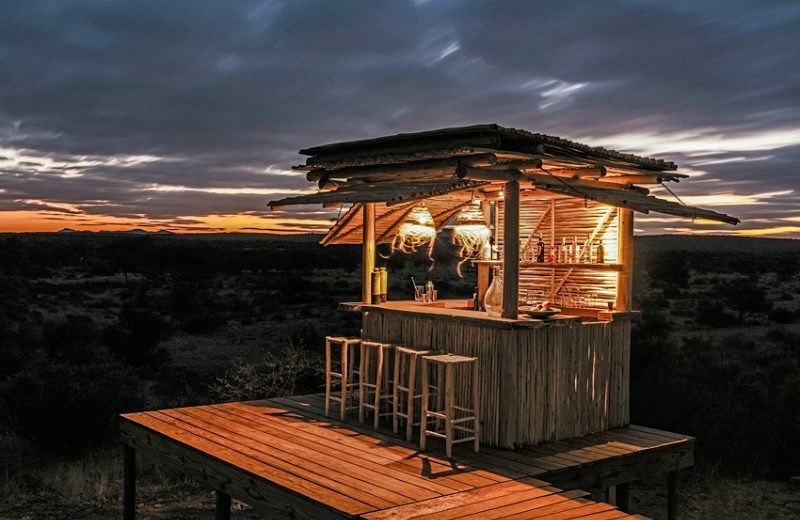 You may just spot golden-maned lions lounging off the day’s heat as the sun slips below the savannah’s vast horizon.